While granting the consequences of global warming, the planet Earth will somehow survive the upcoming summer, NASA's Jet Propulsion Lab is ready to shoot an ice chest-sized box to the International Space Station that promises to originate the coolest spot in the universe. Enforced by, the Cold Atom Lab assembled under the JPL, NASA, the mission will test, the atoms' strange behavior in super cold space. A Nobel laureate, supported by a well-equipped team has been made the in-charge to supervise the complete setup. Tagging a new technology, the institution reveals that apart from the aforementioned target, the technology itself will improve the preexisting sensors, quantum computers, and atomic clocks used in spacecraft navigation. The box consists of lasers, a vacuum chamber and an electromagnetic "knife" that turns the gaseous molecule motionless, cutting out the energy. The complete package of instruments is known to be the Cold Atom Lab that will fly outbound this year on August 12, using SpaceX CRS-12. Impossible to hit the absolute zero temperature, the instrumental setup is devised to create a temperature just a billionth of a degree above the unreachable point. CAL Project Scientist Robert Thompson of JPL has mentioned, the effort will unveil some of the mysterious concepts about the Gravity, the much rumored dark energy and other ubiquitous forces in question. Once the atoms are pushed to face the extreme cold temperate, they operate in a distinct state of matter commonly known as Bose-Einstein condensate. Here, classical mechanics fails to match and quantum mechanics steals the scene. Following the wave property, the atoms move in synchronisation that will be noticed for the first time at a temperature as low as the CAL's target. The report further reveals that the Bose-Einstein condensate will be observed for the first time in space, with a reduced gravity. On earth, this can be achieved for a very short time but in the ultra-cold space environment, a 5 to 10 seconds long window can prevail while the atoms will move in a cohort. This observation has the power to strengthen or negate some of the principal concepts of the fundamental Physics. The Bose-Einstein condensate is called "Superfluid" due to its characteristic of having no viscosity. Here, atoms move without the friction as if they only exist. Anita Sengupta of Indian origin, Cold Atom Lab project manager compared superfluids with water and mentioned if the water was a superfluid and if it was stirred, the water would spin forever without viscosity acting to dissipate the kinetic energy. 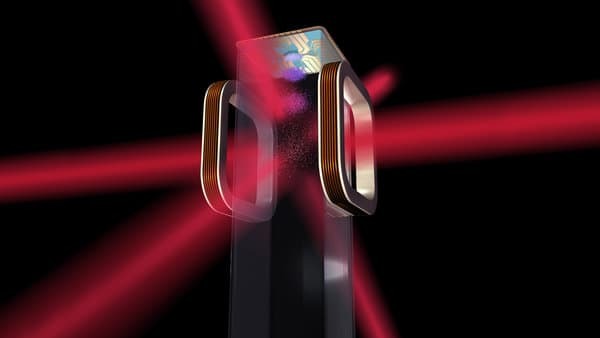 Initially, 5 scientific teams have claimed to use the CAL project among which Eric Cornell of the University of Colorado, Boulder and the National Institute for Standards and Technology has won the Nobel prize for successfully creating the Bose-Einstein condensates in a lab setting in 1995. Kamal Oudrhiri of JPL, the CAL deputy project manager has prompted that his calculations regarding the 27 percent dark matter, 68 percent dark energy and about 5 percent ordinary matter might get a true validation with this experiment. 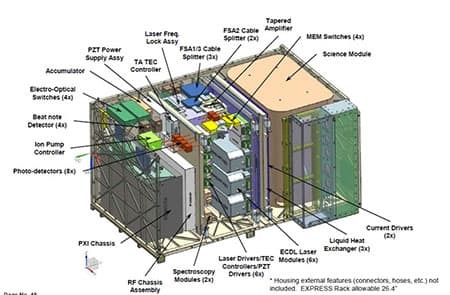 The Cold Atom Lab under investigation will undergo some more tests that will ensure that the system will be able to run on space environment without any technical hassle. Once done with the primary check up, the project will be transferred to Cape Canaveral, Florida. The project is sponsored by the International Space Station Program at NASA's Johnson Space Center in Houston.